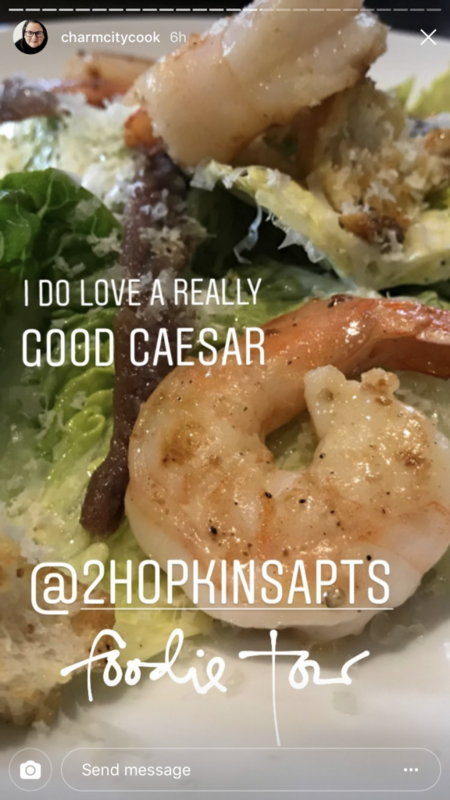 Our favorite Baltimore foodie toured our neighborhood, highlighting the best dining within walking distance of 2Hopkins apartments in Baltimore…and now, we’re hungry! We’re always telling you guys what makes our little corner of Baltimore great. You know we love the food, the art, the culture and the accessibility to the city’s other great neighborhoods. 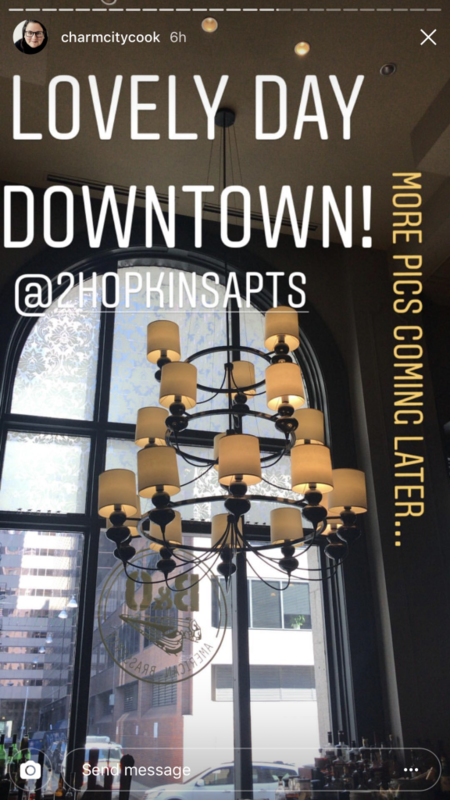 So, we thought we’d try a little something different and pair up with one of our favorite local Instagrammers, Amy Langrehr of @charmcitycook, to take our loyal social following on a 2Hopkins Foodie Walking Tour. 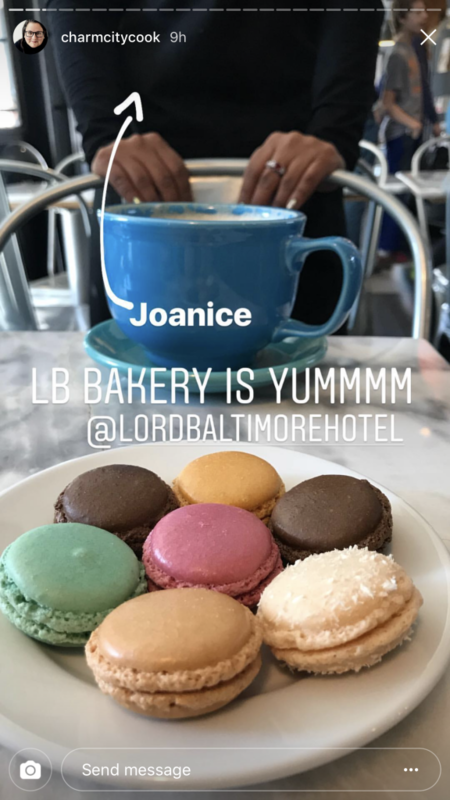 Charm City Cook started her day off with a delicious breakfast at Lord Baltimore Hotel’s LB Bakery. 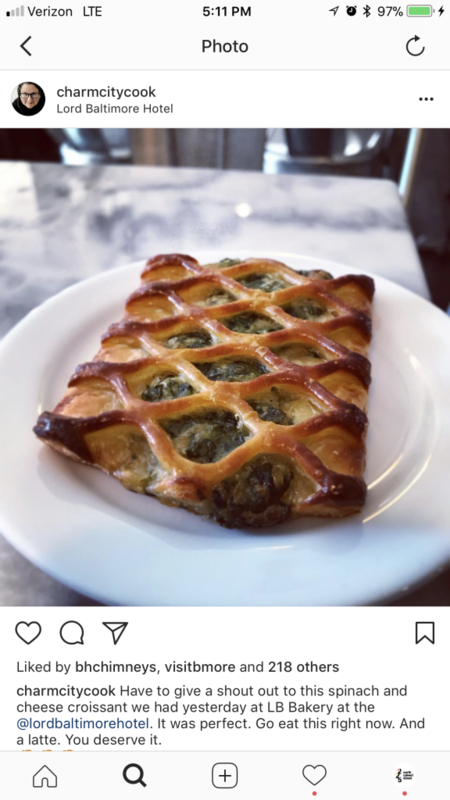 From the looks of it, her morning began with a warm and savory delight provided by this cheese and spinach croissant. Her group also enjoyed colorful, delicate macaroons in flavors ranging from pistachio to rose to classics like chocolate. Topped off with a steaming hot cappuccino, we think that’s probably the best possible way to start a Saturday morning. Can you believe all this goodness lies just across the street from your 2Hopkins apartment in Baltimore? Neither can we! After a tasty morning spent at the bakery, Amy and her friends walked around the block to Lexington Market for their next stop: Faidley’s Seafood. 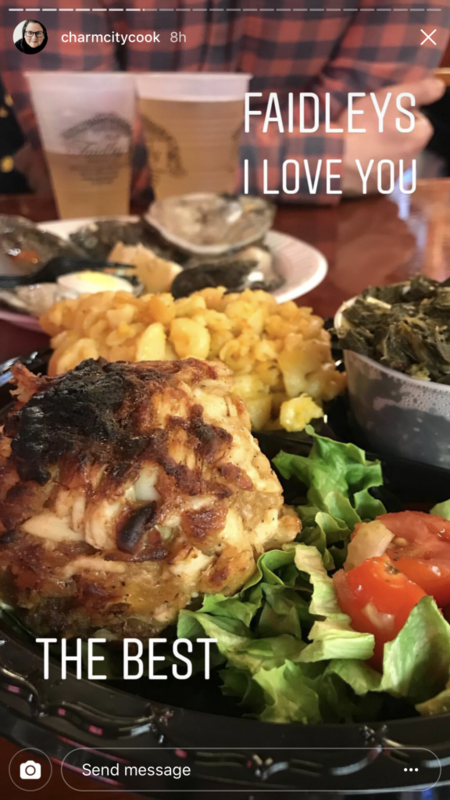 This classic Baltimore establishment is your new go-to for fresh oysters on the half shell, jumbo lump crab cakes and more! 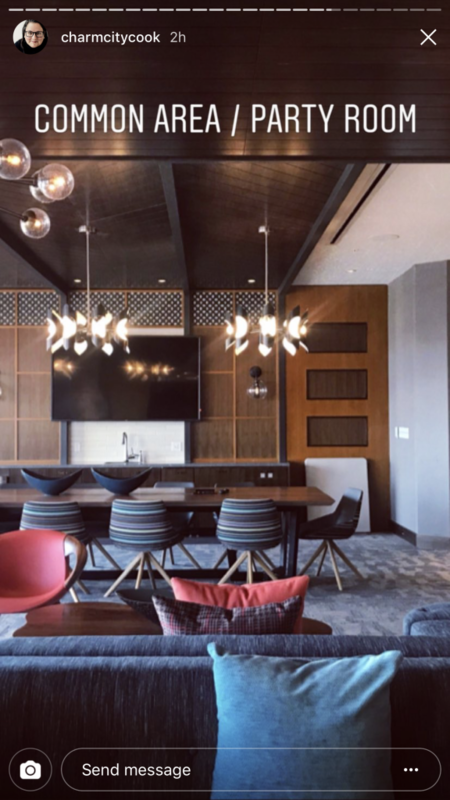 Head over to Faidley’s raw bar and refuel for your short walk back to your Baltimore apartment in the best way – with oysters and an ice cold beer. After their seafood fest, Amy’s army marched over to another famous spot inside of Lexington Market: Sausage Master. 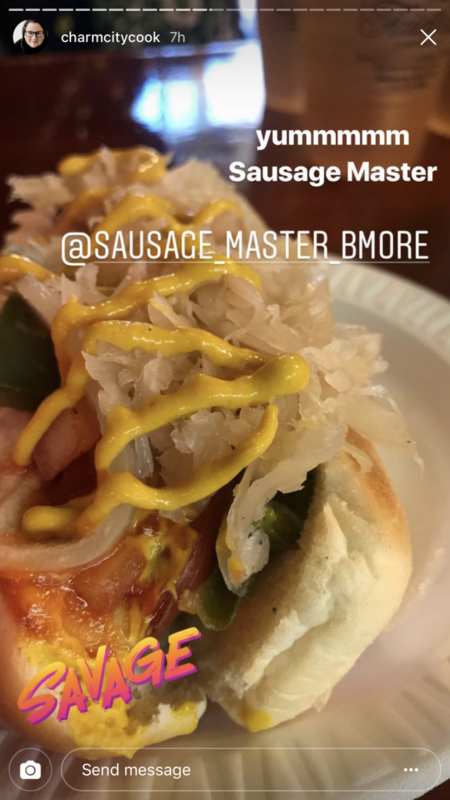 If you’re a tube-food aficionado, get your dog the Baltimore way, with sauerkraut and mustard – no frills, no fuss, just delicious. 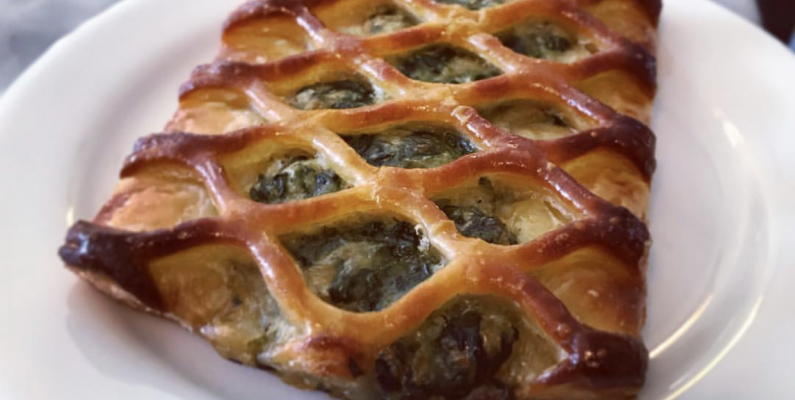 When you’re on a foodie tour and you’re too full to eat another thing, what do you do next? Answer: drink! After all Lexington Market had to offer, @charmcitycook led the way to B&O American Brasserie for some fancy cocktails in a beautiful, luxe setting. But, the feeling of “full” only lasts so long and there was more to try! 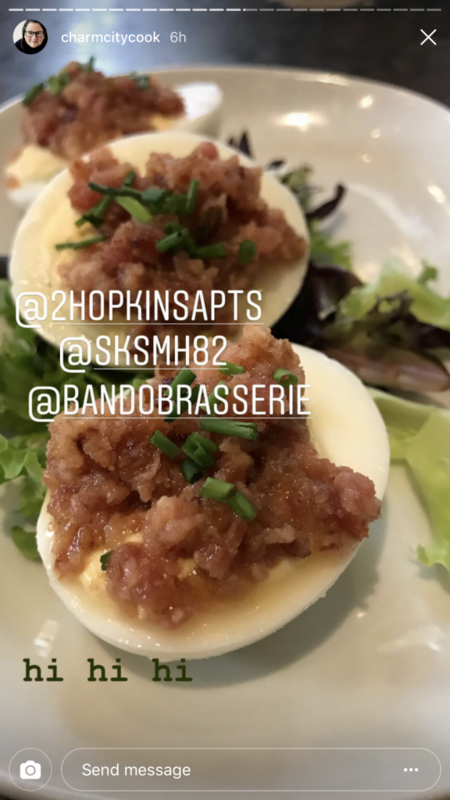 Like these fancy hard-boiled eggs. And this decadent Caesar salad. 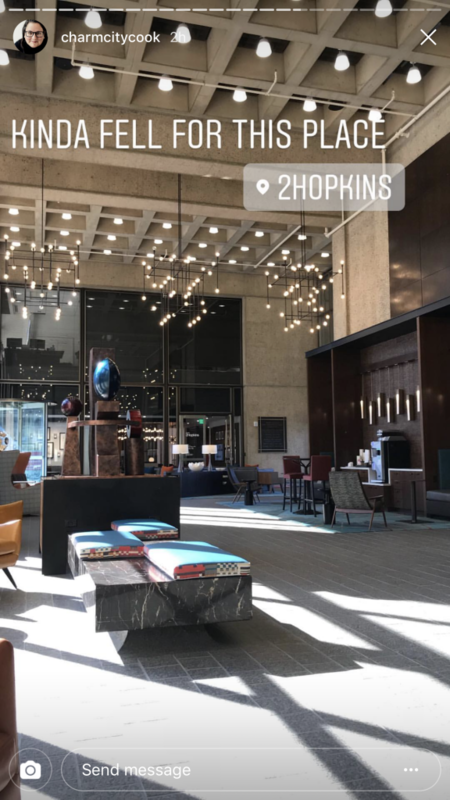 Amy finished the day with a short walk back to 2Hopkins apartments in Baltimore for another tour, this one led by everyone’s favorite concierge, Patrick! Thank you to Amy Langrehr of Charm City Cook for taking us on a foodie tour of delicious places right near our apartments in Baltimore. 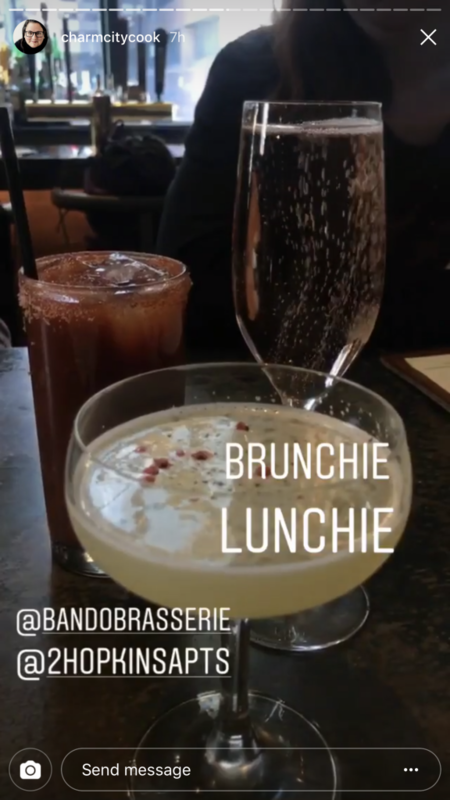 If our culinary chronicle has whetted your appetite, come by for a tour and get a taste of our neighborhood for yourself!